Not only is a human-forced warming of the globe expected to increase average surface ocean and land temperatures, it is also expected to generate higher peak readings over larger and larger regions. Such was the case during May of 2016 as a massive expanse of the world ocean saw temperatures rocket to above 30 degrees Celsius (or 86 degrees Fahrenheit). According to climatologist Brian Brettschneider, 32.7 million square kilometers of the world ocean saw temperatures in excess of 30 degrees Celsius during May of 2016. A new record for the largest sea surface area above a high temperature threshold that typically sets off a range of harmful ocean conditions — including coral bleaching, lower levels of seawater oxygen, and increased rates of algae growth — even as it dumps copious volumes of high latent heat water vapor into the Earth’s atmosphere. The new record belittled 2015’s May 30 C + extent of about 28.5 million square kilometers — beating it by over 4 million square kilometers. For reference, the new 32.7 million square kilometer record extent of such steamy ocean waters is about equal in area to the size of Africa and Greenland combined. High water temperatures in the range of 30 C greatly increase the latent heat energy of the Earth system. Such warm waters pump out an extraordinary volume of high heat content water vapor into the atmosphere. And May’s record 30 C extent has almost certainly contributed to numerous extreme rainfall events occurring around the globe during late May and extending into early June. Record extents of 30+ C waters also increase the potential for combinations of high heat and humidity over the Earth’s surface that result in a rising risk of human heat injuries or even death. 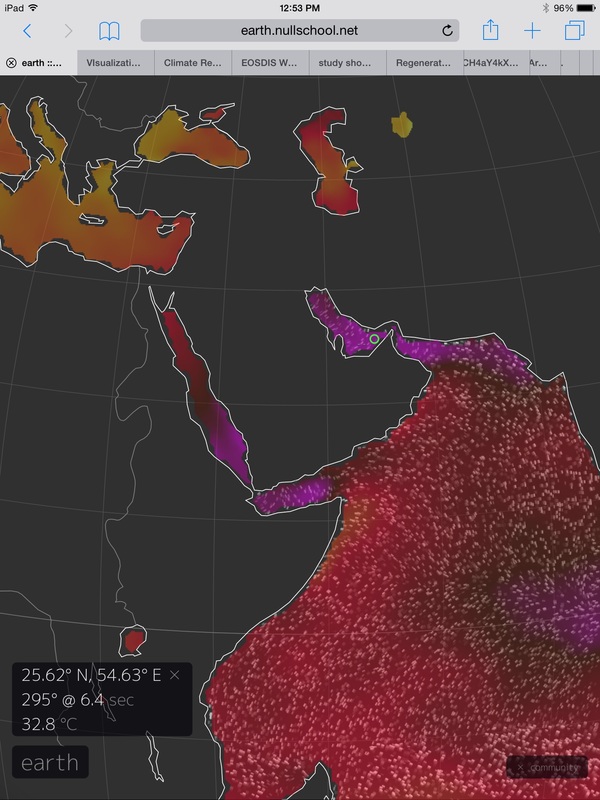 In India this year nearly 400 people are thought to have died directly due to excessive heat. Thousands more are reported injured in what is now a record heatwave and drought affecting the highly populated country. Field workers are also suffering from increasing instances of chronic kidney failure — a condition that health professionals are starting to link to the extreme heat, humidity and other conditions related to climate change. Though highest instances of kidney disease show up among those working outside during the heat of the day, 1 in 13 people in India now suffer from it. Lack of available water due to drought, rising temperatures due to climate change, a lack of air conditioning in the increasingly sweltering country, and a dearth of breaks in which outdoor workers can retreat to the shade are all identified as factors that have led to such amazingly high rates of kidney illness and kidney failure in India. In the worst instances of the most dangerous periods of high heat, wet bulb readings — which are meant to simulate the lowest temperature evaporation can cool the human skin to — have approached 35 C. A combination of temperature and humidity that renders the human body unable to transport heat away from the skin and a reading that greatly increases the risk of heat injury and death. And since maximum ocean surface temperatures are a good proxy for peak potential wet bulb readings, a record extent of 30+ C sea surface temperatures is a context of rising risk for the new kinds of heatwave mass casualties associated with human-caused climate change.